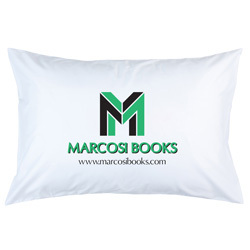 Standard white custom pillow cases come screen printed with a 1-color, 1-location imprint. Additional imprint colors available at extra charge. Custom printed pillow cases are a great way to get your message out on an item that everybody needs, without breaking the bank. 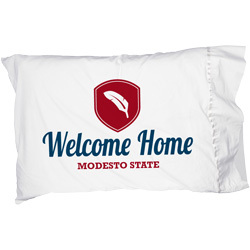 Pillow cases are an excellent promotional item for schools, hotels, clinics and hospitals, or any residence related event. 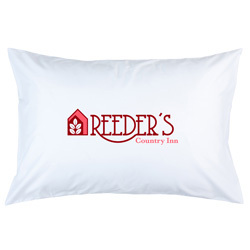 Accomplish your dreams with custom imprinted pillow cases! 5-7 Working Days. Fastest Production Available! Rush Service available for quantities up to 1000 (call for details). Run charge of 30¢ (V) for each additional color.